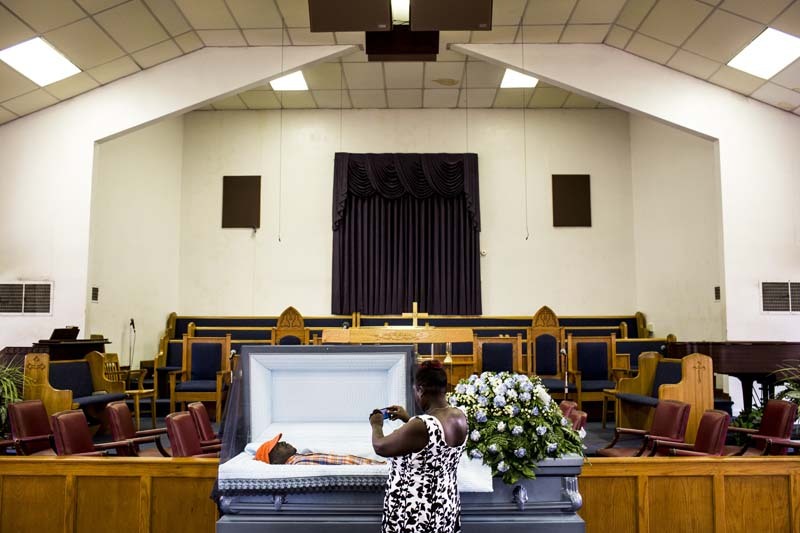 August 07, 2014 - Mady Richardson takes a photo of Martavious Taylor before his funeral at Temple Church of God and Christ directly across from Foote Homes. "We need more than prayer,� Richardson said about the loss of Taylor and the violence within and around the neighborhood. �How many more of our young people need to be put in the grave before enough is enough?� Martavious Taylor, 19, well known around Foote Homes, was shot and killed a couple miles south of the housing project in late July.